Deep winter is when birdwatching really heats up in our (literal) neck of the woods. I love looking out into forested backyard over my first cup of coffee and seeing who’s joining me for breakfast. Species who end up at our sunflower-and-suet-filled feeder include juncos, chickadees, and blue jays — the bullies of the bunch! Another bird I love to see is the Northern Cardinal, whose brilliant red (male) or warm dun (female) plumage really pops against our deep eastern Ontario snow! But I recently discovered an assumption I had been making about that species is false: the idea that they are in fact one species at all. 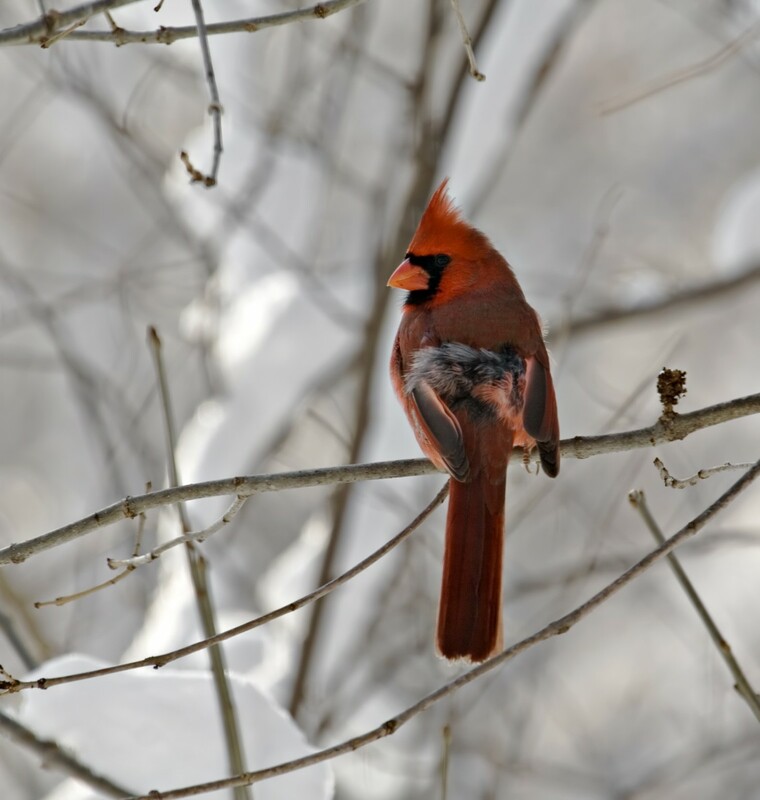 Turns out, researchers out of the American Museum of Natural History have discovered that what was previously known as the heterogeneous Northern cardinal species is in fact made up of at least two genetically distinct populations. Since the types of birds look almost exactly the same, the researchers detected their differences through a fascinating tell — how the birds communicate. The two populations are separated by the Cochise filter barrier, a geographical and ecological phenomenon, including a mountain range, that prevents the mingling of species between the areas of the Sonoran and Chihuahuan deserts. Given this fact, and the confirmation of behaviour when confronted with rivals’ songs, the researchers are pretty certain they have different species on their hands. Much like books and covers, it seems you can’t judge a bird by its feathers!